Successfully saved Whole30 Vegan Vegetarian Curry (Paleo) to your Calendar. You can also save the ingredients to your Grocery List. 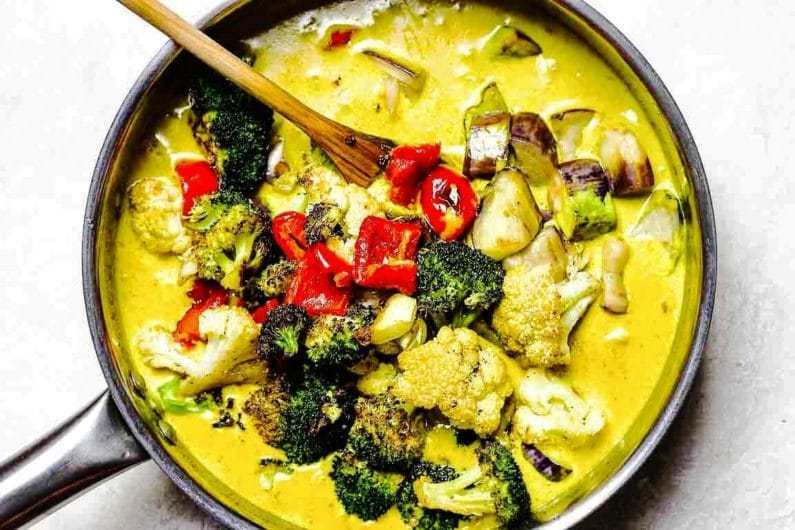 Creamy Whole30 Vegan Vegetarian Curry with roasted vegetables in dairy-free milk cream. This vegan vegetarian Whole30 recipe can be served as a main or side dish even if you aren’t following a vegan or vegetarian lifestyle.